According to EU data protection authorities, Microsoft still isn’t doing enough when it comes to protecting the privacy of Windows 10 users, despite changes which have been made to the setup process of the desktop OS. The transparency of data collection and privacy settings have long been controversial aspects of Windows 10, which as you may recall, led to the EU firing flak at Microsoft last year – and in fairness to the software giant, it’s taking these concerns seriously. The incoming Creators Update has made some big changes to Windows 10’s installation process, putting privacy settings front-and-center during setup, with easy to understand sliders enabling the user to turn things off if they wish (such as location data, diagnostic telemetry, data used in ad targeting, and so forth – see the image below). But while the Article 29 Working Party (a group of 28 EU authorities which uphold data protection laws) acknowledged Microsoft’s willingness to cooperate in this respect, it still wasn’t satisfied with the overall privacy position regarding Windows 10. As Reuters reports, the authorities still feel that Microsoft isn’t making it clear enough to users what data will be collected if these options remain switched on. The EU organization issued a statement to say that “even considering the proposed changes to Windows 10, the Working Party remains concerned about the level of protection of users’ personal data”. In other words, further details should be made available to the user on the setup screen where they make privacy choices. Presumably without going too far – given that a full explanation of data usage would, of course, likely turn into some terms-and-conditions-style nightmarish sprawl that no one would read anyway. At any rate, Microsoft still has changes to make in order to satisfy the EU, and will likely implement further measures looking at what’s happened thus far. After all, the whole privacy issue is a spectre which has haunted the OS for a long time now, and it’s certainly something Microsoft wants to shake off. As you may recall, around about this time last year, Microsoft was accused of a lack of transparency with Windows 10’s data collection, and in the summer, the French watchdog CNIL blasted the OS for “collecting excessive data”. 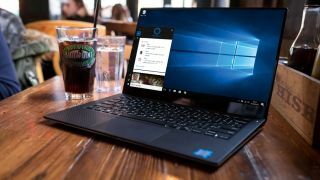 We’ve still got a couple of months before the Creators Update arrives, but if you’re worried about Windows 10 privacy now, TechRadar has a helpful guide to the operating system’s privacy settings right here.